Now that summer is quickly approaching and sunshine and warm weather are upon us, I am eagerly getting dressed in the morning. Now don’t get me wrong, I love a good pair of boots and cozy scarf like any girl, but it is SO hard to get up and get dressed in the morning in the winter knowing no matter what I put on, I am going to be cold. I am a summer girl through and through! 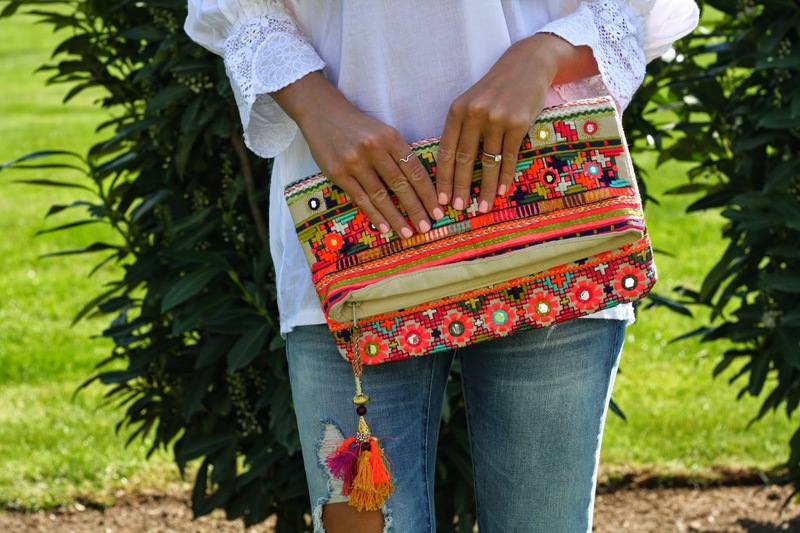 Things are so much simpler in the summertime, including getting dressed! I can throw on light-weight pieces, not having to stress about layering up, and bright colors and sunshine are in abundance. Can you tell I am just a tad excited?? I have been on the hunt for the perfect pair of distressed skinnies and I hit the jackpot with these from Blank NYC! I am not sure how I have never heard about them before, but they have quickly become my favorite denim brand. The best part?? They are a total score at under $100! In fact, most of the Blank NYC denim line is under $100! They are so comfortable, I love the wash and distressing and the fit is perfect (I ordered my typical denim size!). They have already been on repeat this past week and you can plan for them to be repeat offenders around here! 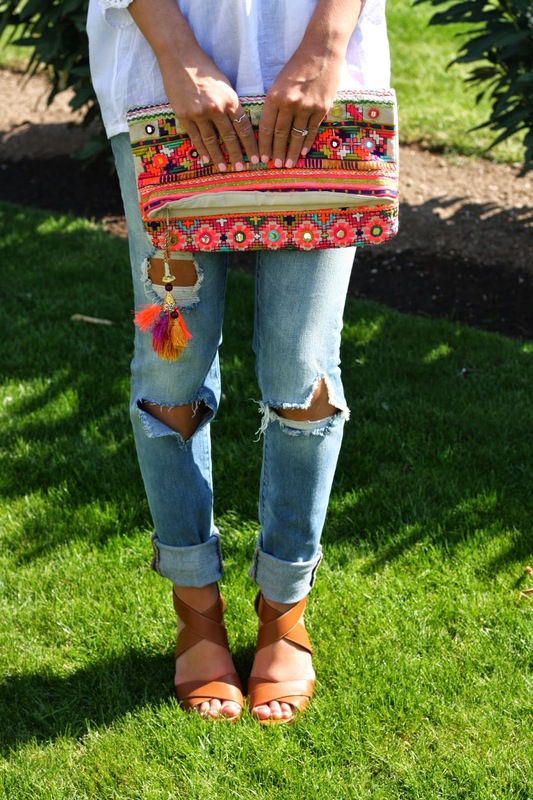 I absolutely loved the laid back look of them paired with this embroidered off the shoulder top, bright clutch and wedges! Previous Post Repeat Offender + #WIWT Link-Up! I love everything about this outfit! Especially the top and clutch! I have also been eyeing those wedges for while and they look perfect for the spring!